Somewhereness. That sense of place and time measured in a glass; the effect of soil and rocks, wind and water, and shifting seasons on the grapes. Flavours imparted by million-year-old shelves of limestone and clay. Sun and rain changing from vintage to vintage. The essence of terroir, right here in Ontario. Somewhereness comprises 12 elite-level winemakers hailing from Niagara and Prince Edward County. For them, it's all about terroir. Less about manipulating the goods and more about following nature's suggestion. They don't see themselves as creators; rather, they are intermediaries in the process from vine to bottle. Guides, if you will, on a grape's vinicultural spirit quest. This year's gathering of the Twelve was held in the not-yet-opened Orange Gallery, still pungent with fresh paint in its new digs at Ottawa's City Centre, in what formerly housed a bank. The first few guests walked in just as the last of the contractors where hauling out their power drills and ladders; there was a palpable buzz of anticipation in the air. Bubbles to start with, of course. 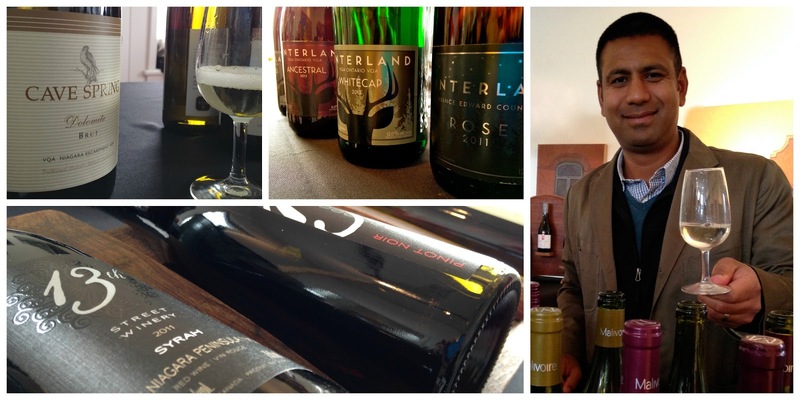 Hinterland was there with the full line-up, including their positively ethereal Ancestral made from 100% cab franc. Cave Spring's Dolomite Brut was also a winner, delivering green apple and minerality on a zippy palate. Shiraz Mottiar (above), of Malivoire Wine Company, led me through an impressive flight of whites and reds. I instantly fell in love with the Melon de Bourgogne, with its rich nose of buttercream icing, honeydew melon and lychee backed by bracing citrus and apple. The 2011 Stouck Merlot spoke volumes of its rocky roots and the cool climes of its vintage: tobacco, herbs, blackberry, thick tannins and a peppery finish. Everything from Hidden Bench was stellar; the 2012 Bistro Chardonnay had soft, rounded notes of oak integrated throughout, instead of layered on top. Despite only having been in the bottle for two weeks, the 2013 Bistro Riesling had a fragrant, complex nose of tropical fruit and musk melon, a punch of spice, and a soothing, off-dry finish. The dry-style Bistro Rosé held a muted blend of cranberries and rosewater. Pity the Bench only sells to restaurants. The restrained use of oak in Southbrook's 2012 Triomphe Chardonnay allows the true tropical-fruit characteristics of this grape shine through; its Bordeaux blend 2010 Poetica Red is robust with raspberry-blueberry jam and chocolate, and complex notes of leather, tobacco and peppercorn. Taking a break from the wines gave me a chance to nosh on delicacies from this guy Calvin's basement charcuterie set-up. No kidding, his business card is simply iknowaguy@rogers.com. His family got him a smoker for his birthday and he's been churning out mouth-watering cured meats and fish since then. That, plus a little bit of cheese from Best Baa, Monforte and Upper Canada Cheese = full, satisfied tummy. 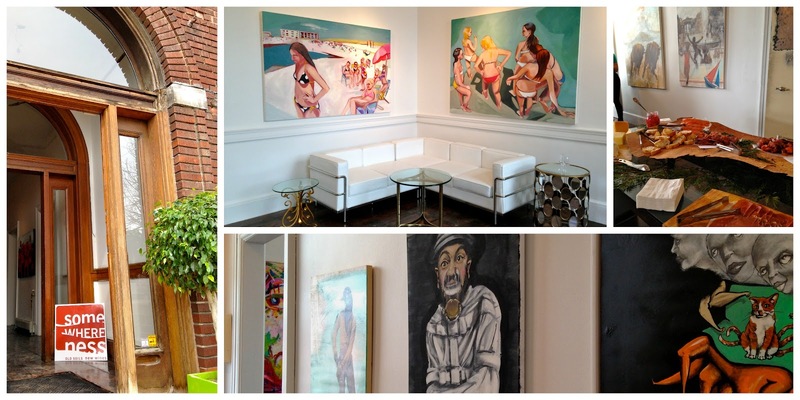 On top of all the pleasures of the palate, guests had a chance to see stunning artwork by local artists Violeta Borisonik, Heather McTavish and Gwendolyn Best (among others) before the general public got a first glance at the gallery's grand opening two nights later. A feast for all the senses.